At the intersection of the sociology of higher education, critical social and racial theory, and organizational studies, my research explores how we define and recognize the nature of racialized organizations and what implications arise for social change once we account for an organization’s racialization. Higher education serves as the empirical case for my work. While my scholarly record empirically touches on various aspects of higher education, such as undergraduate enrollment trends, the impact of race-conscious admissions, and university-community engagement, I also engage in theoretical inquiries regarding the sociology of knowledge and the sociology of race. Methodologically, I have training in quantitative and qualitative approaches. My research explores on how the color line, history, community, and context are critical epistemological dimensions for research. 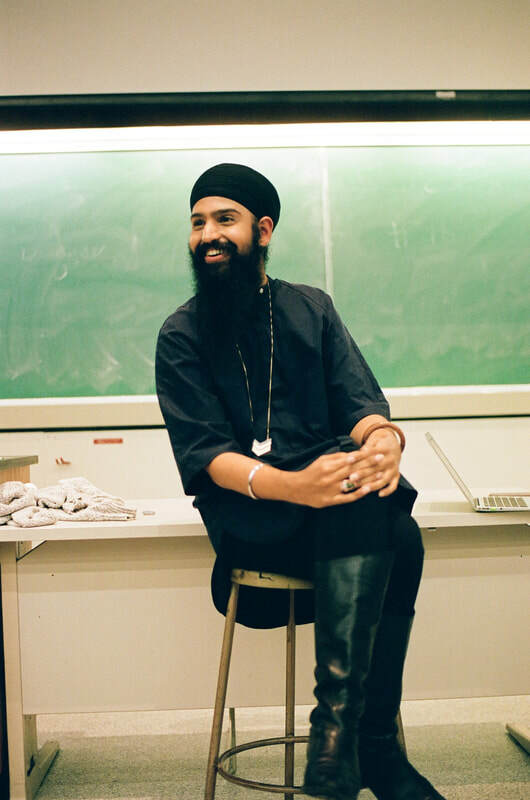 An additional area of personal inquiry pertains to anti-Blackness, anti-queerness, and gender conformity within the Sikh and Sikh-American diaspora and how it manifests itself in political and educational advocacy. Some of my public engagement work includes a BBC radio interview discussing queer gender identity in the South Asian community (from 2:45-3:00), an interview with a British South Asian diaspora magazine, and an interview with the podcast The One discussing queerness, gender(s), and Sikhi. A copy of my CV is available here for download (as of 08/2018). kehal, prabhdeep singh, Garbes, Laura, and Kennedy, Michael D. (Forthcoming ). Critical Sociology of Knowledge. In Lynette Spillman (Ed), Oxford Bibliographies in Sociology. New York: Oxford University Press. Willse, Cadence, kehal, prabhdeep singh, and Mathew Johnson. (Forthcoming). Social Innovation and Civic Engagement: A Critical Praxis for Engagement in Higher Education. In E. Mlyn, and A. M. McBride (Eds. ), The Civic Mission of Higher Education: Connecting Social Innovation and Civic Engagement. Sterling, VA: Stylus Publishing. prabhdeep singh kehal and Tina M. Park. Racial Excavation: Racializing Organizations and Organizing Race. Revise and Resubmit. kehal, prabhdeep singh and Cadence Willse. Institutional Contexts, Organizational Pathways, and Student Engagement: Exploring the Limits of Pathways Creating a Conducive Context for Deepening Student Engagement. Under review. kehal, prabhdeep singh, Hirschman, Daniel, and Ellen Berrey. When Colleges Drop Affirmative Action: Trends in Admissions Policies and Student Enrollment at Selective U.S. Institutions, 1990-2016. In preparation. “Racial Excavation: Racializing Organizations and Organizing Race.” Manuscript presented at Du Boisian Sociology: Critical Insights for Theorizing Race and Ethnicity, American Sociological Association, Philadelphia, PA, August, 2018. “The Decline of the Diversity Imperative? Enrollment Trends Among Colleges Voluntarily Abandoning Race-Conscious Admissions.” Manuscript presented at Institutional Change in Higher Education, American Sociological Association, Philadelphia, PA, August, 2018. “Excellence, Reflexivity, and Racism: On Sociology's Nuclear Contradiction and Its Abiding Crisis.” Manuscript presented at the Center for the Study of Race and Ethnicity in America, Brown University, Providence, RI, April, 2018. “Fleeting Access: Racialized and Class Exclusion through Higher Education Enrollment Management.” Invited Lecture at Center for South Asia, University of Wisconsin-Madison, February, 2018. "Race and Merit: Racialized Exclusion from Prestige in Higher Education Enrollment, 2004-2013." Paper presented at student workshop series, Brown University Department of Sociology, Providence, RI, October, 2017. W.E.B. Du Bois and the Color Line in the 21st Century: Continuity, Challenges, and New Directions, Social Theory Forum, Boston, MA, March, 2017. Mini-conference on Race and Organizations, Eastern Sociological Society, Philadelphia, PA, February, 2017. “Who Gets to Walk the Straight Line? Racial Differences in the Accumulation of Structural Advantage/Disadvantage in Education.” Manuscript presented at Population Association of America, Chicago, IL, April, 2017. “Minoritized Identity Formation: Students’ Experiences with Diversity and Inclusion.” Presented at Association for Psychological Science, Boston, MA, May, 2017. “Reclaiming Activist Sikhi: An Excavated Perspective.” Invited Lecture for Speaking of Sikhs Lecture Series, Sikhs of Princeton, Princeton University, March, 2017. "(Re)Imprinting Race into Organizations: A Theoretical Framing of Racial Imprinting." Manuscript presented at student workshop series, Brown University Department of Sociology, Providence, RI, April, 2016. “A path to dialogue: Graduate students of color and liberating education”, Gramlich Showcase, University of Michigan, Ford School of Public Policy, March, 2015. “Educational and social pathways: A Critical Race Theory exploration of California Sikh youth”, Jakara Sikholars, Stanford University Center for South Asia &, Feb, 2015. “Institutionally stratified degree attainment in Michigan's postsecondary education”, Division of Accountability Services & Educational Services, MI Dept. of Ed, Aug 2014.